and enjoy the nature and history of Miyajima. for you to experience all aspects of Miyajima-style life. 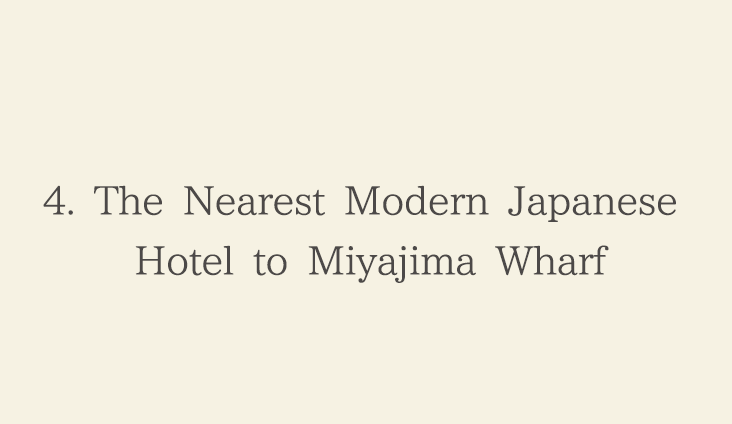 Our guestrooms are designed with Miyajima living in mind, where leisurely island time passes by. 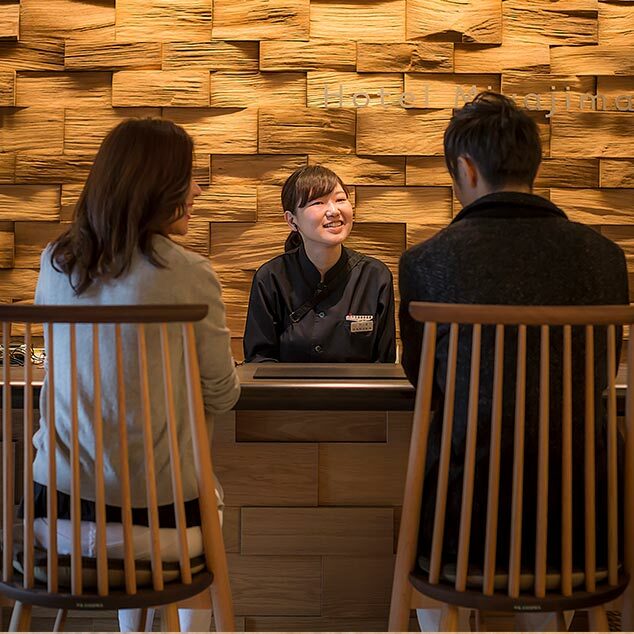 All Miyajima Villa’s guestrooms have comfortable Western-style beds.In a modern Japanese style designed on the three themes of a townhouse villa, a seaside villa and a mountain villa, our guestrooms have a high quality, simple interior design. 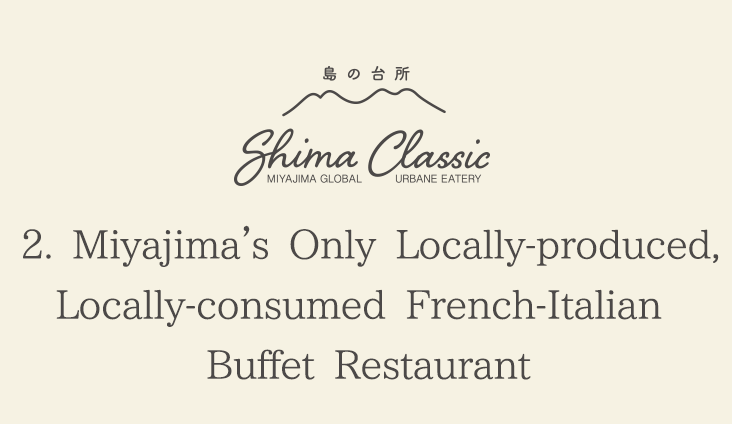 Our menus are produced by Tony, the fifth-generation proprietor of Kinsuikan and meticulous foodie, and Chef Masayuki Okuda of Al-che-cciano. Hiroshima-sourced ingredients, selected with care by our head chef Isao Kobayashi, are sent to us from local contracted farms in Hiroshima. Please enjoy a feast of ingredients that can only be tasted here at Hotel Miyajima Villa. Our panoramic bath with its tatami mat flooring, where you can gaze at the most beautiful sunset in Miyajima, is a Komyoseki artificial hot spring with gentle waters. Hotel Miyajima Villa is situated just ninety paces on foot from the entrance of Miyajima. 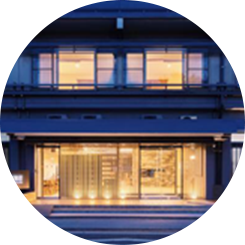 The hotel is conveniently located for sightseeing, including walks around the World Cultural Heritage Site of Itsukushima Shrine and the great Torii shrine arch. We offer the service of storing your luggage before check-in or after check-out, so please enjoy hands-free sightseeing in Miyajima at your leisure. 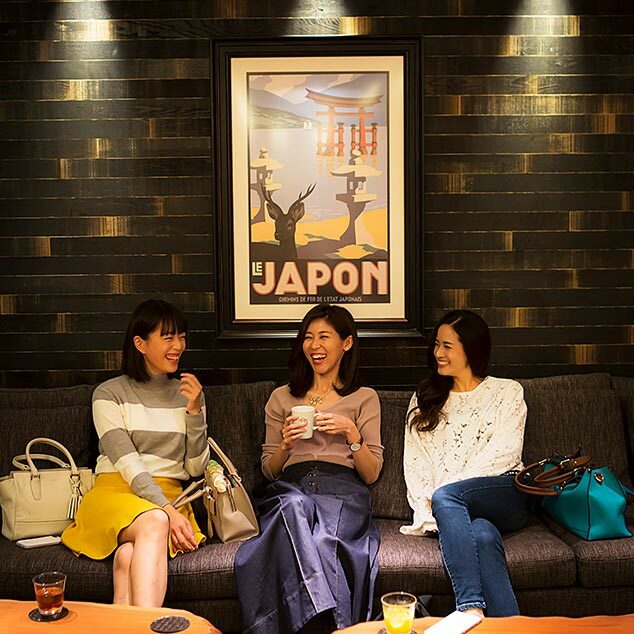 Our staff, with their deep knowledge of Miyajima, will suggest a variety of activities for you to enjoy an active villa lifestyle.